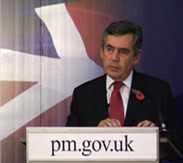 On 25th October 2007 the Prime Minister announced that he had asked Paul Dacre, working with Professor David Cannadine and Sir Joseph Pilling, to chair an independent review of the ’30 year rule’, under which most government records are transferred to The National Archives and made available to the public by the time they are 30 years old. This website contains information about the review and copies of all the evidence that was received during the consultation, which ran from January to April 2008. You can read the review’s terms of reference and an explanation of the ’30 year rule’. In a graph on page 18 of the Review Report, it is stated that the period of time that elapsed between Sir Christopher Meyer leaving the diplomatic service and the publication of his memoirs was 2 years. In fact, the period was 2 years and 8 months, and the graph should therefore have shown 3 years.